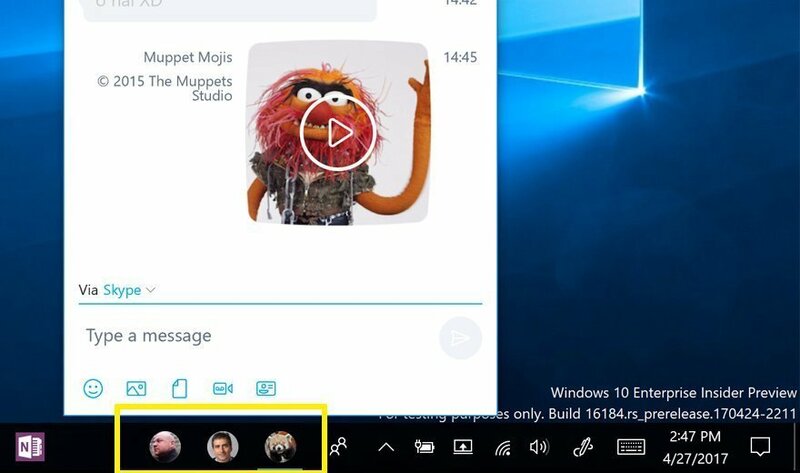 The Windows 10 Fall Creators Update attempts to make it easier for users to communicate with each other using the My People app. They can pin three contacts of their choosing to the task bar. The users they pin must either have Windows 10 Mail, People or Skype, and the My People app only lists users who have at least one of these apps. Once a user pins his contacts to the task bar, he can click the icon representing a specific contact to open an email, video chat or instant message with that person. The user can make the icon for each contact a picture of that individual. Activating the My People app is simple. Users just open the People app and click the My People icon on the task bar. What other communication tools would you like to see in Windows 10?